Close your eyes. Can you follow your nose to Neiman Marcus, or Nordstrom, or Saks? Our sense of smell more than any other sense, is captured in the part of the brain associated with emotions and feelings—smell a Crayola crayon and you’ll be transported back to your childhood. Retailers have been capitalizing on this fact for years. We all know the story of Coco Chanel’s search for the perfect perfume that would ultimately become the definitive fragrance of La Maison Chanel. Most luxury brands and designers offer eponymous perfumes: Burberry, Gucci, Hermés… the list goes on. Even Tiffany & Co. puts its brand name on a perfume bottle. But offering a brand name perfume is different from creating an aroma to enhance the brand’s in-store shopping experience. 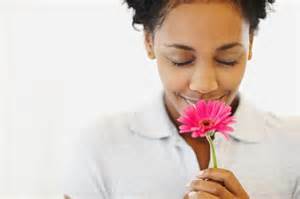 The right scent can increase brand recognition by creating a sensory experience for the customer. As Martin Lindstrom, author of Brand Sense: Build Powerful Brands through Touch, Taste, Smell, Sight and Sound, says “These forms of sensory stimulation not only make us behave in irrational ways, but also help us distinguish one product from the next.” For example, I’ve seen online discussions about whether a BMW smells different than a Mercedes. Companies specializing in aroma technologies can design scent marketing solutions to help create signature bouquets for brands. The CEO of one such company, Andy Kindfuller of ScentAir, was recently interviewed by Kai Ryssdal on America Public Media’s Marketplace. In the interview, Kindfuller tells how his company goes about creating unique signature scents based on a specific brand’s attributes. Kindfuller uses Hugo Boss as an example of some of the high-end retailers he partners with. Much like an advertising company, ScentAir works with the branding and marketing teams to define the key attributes of the brand and then translates them into a unique scent. Kindfuller feels this additional sensory feature creates a competitive advantage. Studies have shown that customers will stay in a store longer if it is scented. He goes on to say, “If [retailers] don’t connect and make it a comfortable, welcoming place to shop, and to spend their money, consumers will go somewhere else.” How does Kindfuller know when he’s achieved success? When the scent is removed from the stores and customers miss it. How much further will brands go to tantalize our senses? Perhaps taste will be the next sense marketers will explore. Hmmm, I wonder if Dolce and Gabbana would taste like a cream-filled Italian pastry. What do you think your favorite brand would taste like?